Scott Lucas is Professor of International Politics at the University of Birmingham, and is the founder and editor of EA WorldView. Safe havens would not have prevented much of this. The territory to be covered was too vast and the regime onslaught too great. However, they would have provided shelter for at least a few—more than the total of zero who were spared death and devastation. And the no-fly zones might have been a significant deterrent: both immediate in the areas along Syria’s borders and longer-term in setting a definite red line for Assad, rather than the empty rhetorical one put forth by President Obama. But the international community did nothing to support those who wanted an alternative to the regime attacks. And Assad and his military continued. When the guided weapons ran out, they used every unguided munition available, including barrel bombs. And when those were not enough to stave off the opposition’s challenge, they used chemical weapons. Many of the more than 300,000 people who have died in this conflict were killed by those weapons. Most of the millions who have lost their homes, possibly for the rest of their lives, fled the specter of death. None of them were given the hope of a haven. I also support no-fly zones and safe havens as the best political option for this conflict. In September 2013, as I called for these in response to the regime’s chemical weapons attacks, a well-intentioned Guardian journalist said that negotiations with Assad were preferable. These talks, he said, offered the safety of resolution. I replied that this hope was an illusion. President Assad had rejected the condition, set down in the June 2012 Geneva communique, of a transitional government in which he would give up power. He would never change that position, short of the collapse of his military. No-fly zones and safe havens change that political dynamic. They confirm to the Assad regime that there is no prospect that it will ever regain the 95% of Idlib Province in northwest Syria which it has lost. That will be followed by the likelihood of much of southern Syria, along the Golan Heights and the Jordanian border, in a protected space which can never be reclaimed by the Syrian military. The northwest safe havens may extend into Aleppo Province, particularly if meaningful support is given to rebels to push back the Islamic State. It is then that Assad and his inner circle may finally be shaken from the illusion that they can ever again rule an entire country. It is then that the regime’s backers such as Russia and Iran may realise that, unlike the aftermath of the August 2013 chemical weapons attacks, the international community cannot be deflected from a space beyond Assad’s threat. And it is then that, chastened, Syria’s political and military leaders might actually enter talks for a resolution. Of course, they may not, but at least they will not proceed unrestricted with their missiles, their barrel bombs, and their chlorine. Equally important, safe havens create the space for an alternative to the mayhem, the repression, the rule of fear. If Syrians do not live in fear of bombing of their homes, destruction of their infrastructure, and obliteration of their services, they can begin to rebuild local governments. They can do so, not in mimicry of the regime, but in search of an authority which is responsible to the needs of people and protection of their rights. They can seek a community which is not reduced to the labels of “extremism or Assad.” They offer a far more economical alternative to any current approach, both for the reduction in military expenses by shortening the war against the Islamic State as well as generating production in protected areas. Some who dismiss no-fly zones and safe havens use the caricature that they are a foreign plot, serving nefarious powers seeking to overthrow the regime. That is a red herring. Safe havens are not primarily for the ambitions of Turkey or Saudi Arabia. They are certainly not for a US conspiracy, given that Washington still rejects them after more than three years of indecision and political retreat. They are for those Syrians who have no place to live, who have no schools to educate, no hospitals to heal, no government to meet their needs. Indeed, it is the rejection of safe havens that will perpetuate the struggle of Assad vs. the Turkish-Saudi-Gulf-Jordanian combination. With no alternative other than to continue a fight to the death with Damascus, Syria’s rebels will continue to turn to Ankara, Riyadh, and Doha for bigger and better weapons. They will likely use those weapons to erode Assad to the point of his demise, but the bloodshed and corrosion of violence will continue for months and possibly years. Some who dismiss no-fly zones and safe havens will invoke the fear that they only protect “extremists” and “terrorists”. That is a distortion which reduces Syrians to pawns who do not deserve protection. The “extremists” are not the dominant group in opposition-held areas. Even Jabhat al-Nusra, which receives a disproportionate share of attention in Western media, is a minority with a fraction of the total of anti-Assad fighters. Before the full onslaught of Assad’s aerial weaponry—and even during it—local groups set up their own councils and courts. They did so not as “extremist” or “al-Qa’eda” or “anti-Western”, but as Syrians hoping to take responsibility for their lives. One cannot predict what form of government will emerge in protected areas. That will be the outcome of a process involving many groups across the political, social, and religious spectrum. However, it is far more likely that “extremism” will breed in areas which continue to be ripped apart by violence, rather than those which have the prospect of some stability and relief from devastation. Some who dismiss no-fly zones and safe havens do so because they believe the logistics are too difficult. Those concerns should not be dismissed. 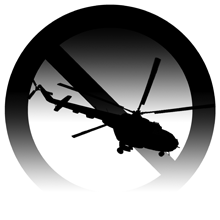 It is not an easy process to provide the airpower, resources, and personnel to ensure safety. However, this is not a sudden proposal: both in southeastern Turkey and in Amman, officials have spent months planning and preparing for implementation—if and when there is political will to proceed. This may not be easy. But does that mean we wait another three years and watch hundreds of thousands more die, flee, lose their livelihoods because there is no alternative? The bloody record of the Syrian conflict is of pundits and politicians saying why something cannot be done. In the recently-released documentary, “Obama Blinked”, on the American failure to provide safety for the civilians cut down by Syrian warplanes, US analysts come up with a roll-call of justifications: “Washington needs Assad… as a bulwark against the Islamic State”; “[It is best] to learn from one’s mistakes rather than insist that, if we try harder, we will get a better outcome”; “There are no easy choices”. We have been ineffectual, too late, and nonexistent for four years. Do we really want to add to that grisly record?